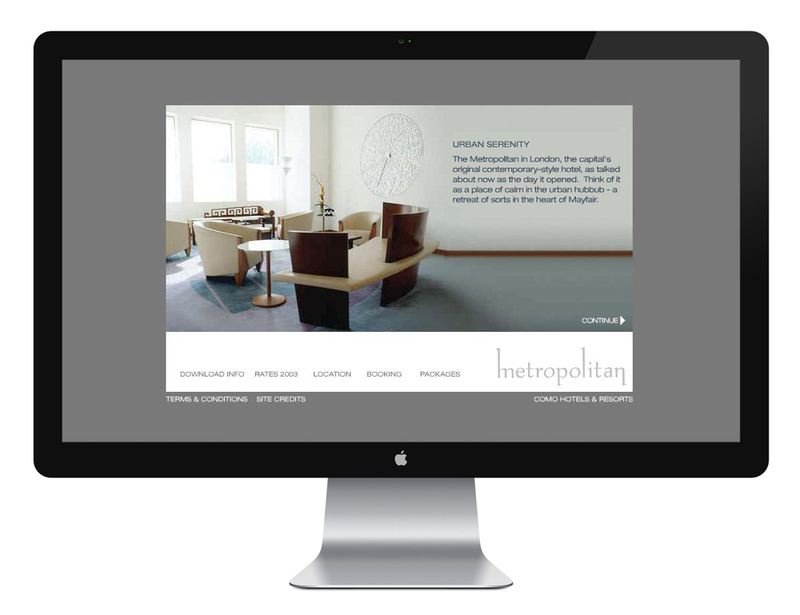 GALLÉ, DESIGN FOR LUXURY BRANDS: Website for The Metropolitan, the iconic hotel in central London. The Metropolitan was our very first hotel website. The site was very simple and very successful indeed: 10 screens, each focusing on something special about the hotel, with no more than 30 words per screen. Below, a link to a pdf for users to save on their desktops, a link to rates, to packages, to a location map and a booking form. The outcome was a very commercially successful website — the site returned on its investment within weeks — which was shortlisted for the FlashForward Festival in Amsterdam (July 2001).